Yay! An fanastic egg sale, just in time for Passover. 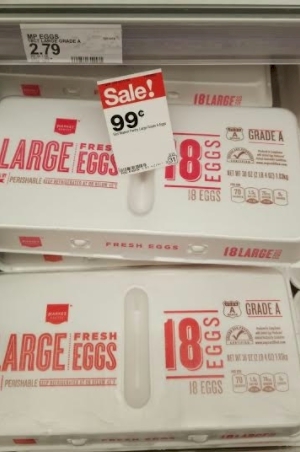 Target has got their Market Pantry 18-count large eggs going for $0.99 this week (66 cents per dozen, wowzers). Some Targets have quantity limits (see my friend and fellow blogger, Chani Y. 's cartful of 9 dozen eggs down below) and some don't (see my dear cousin, Rifky Frimi S.'s cartful of 30 dozen eggs below). But the Target deal gets even better. Get a FREE $10 Target gift card with every $50 you spend on food and beverage items at Target as well (through 3/31/18). 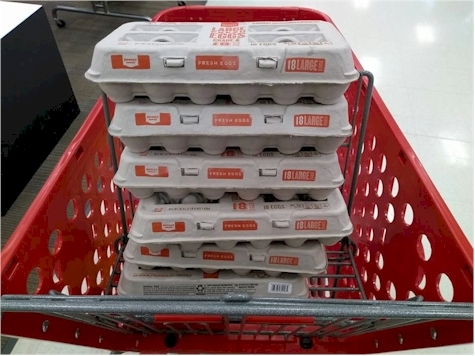 AND, get a FREE $5 Target gift card with every $25 you spend on eggs, baskets, and more. Some of these offers might be regional, so check with your local Target store (but it appears to me that they are all national). 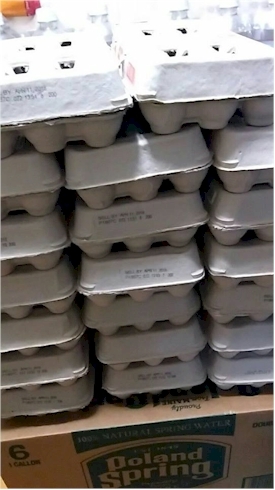 Rifky S.'s 30 dozen eggs. Pesach Lite! Chani Y. 's paltry 9 dozen eggs. Dang those quantity limits! 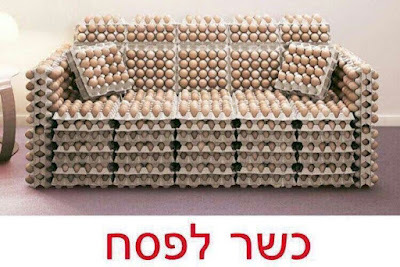 The egg sofa. I love the egg sofa.